PowerPoint automatically creates clickable hyperlinks for any text that begins with “www.” as well as all email addresses. 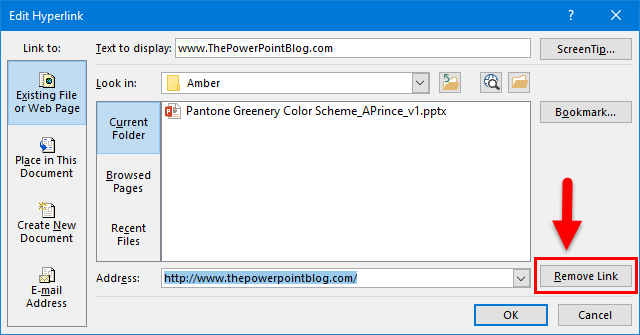 On the ribbon, go to INSERT and in the LINKS section, choose HYPERLINK. This one is time sensitive. Immediately after the hyperlink text is entered (hyperlink text that automatically is configured as a hyperlink either starts with www. or has the email address formula with an @ symbol), the text changes to a hyperlink and there is an ‘AutoCorrect Options’ button. 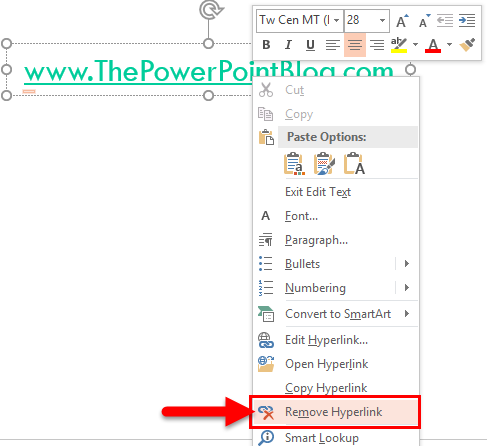 There, 3 solutions to removing unwanted hyperlink coding in PowerPoint (also works in Word and Excel)!